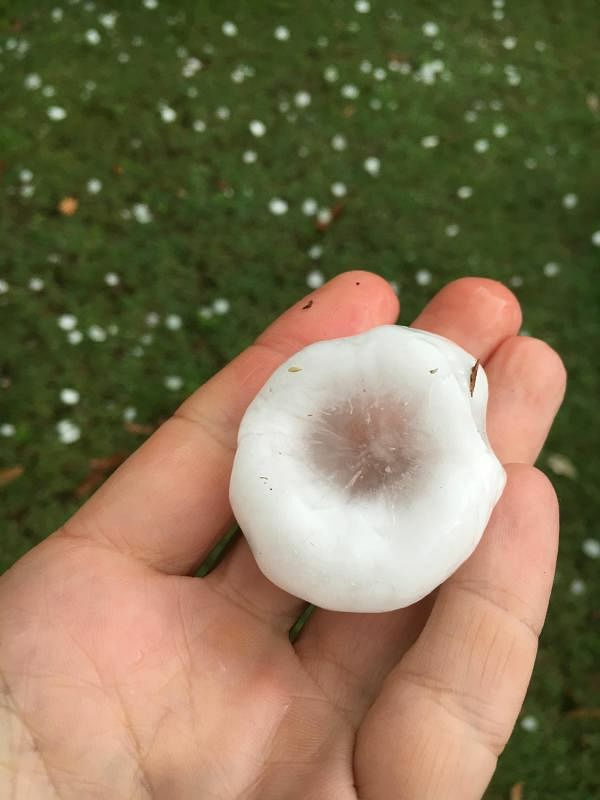 SYDNEY - Sydney was hit by a violent hailstorm which pelted tennis ball-size hailstones across the city on Thursday (Dec 20), causing widespread damage and bringing the city to a standstill. The Insurance Council of Australia declared the storm a "catastrophe". "It is pretty clear... that the damage is likely to be widespread and catastrophic in its proportions," Mr Campbell Fuller, a spokesman for the council, told ABC News. The storm struck various parts of Sydney between 4pm and 6pm local time, as thick grey clouds shrouded Australia's largest city in darkness. Strong rains were followed by one or two short bursts of hailstones, lasting about a minute each. The hail smashed car windscreens and damaged panelling, broke home windows, and tore through trees and foliage. The cost of the damage is expected to be in the tens - or possibly hundreds - of millions of dollars. Sydney resident Wayne Wilson said his street was pummelled by "baseball-size" hailstones. He said he believed his car had been damaged. "There was no time to get out and move the car unless you wanted to get hit by hail," he told The Sydney Morning Herald. "Better to have the dented car than get knocked out." After the hail storm, between 6pm and 7pm, about 30,000 lightning strikes were recorded in the greater Sydney region. About 20,000 homes were left without power. The storm led to serious flight delays. Sixty-two flights were reportedly cancelled and seven were diverted. Train services were also disrupted as lines were damaged. On social media, people shared images of ruined cars and backyards covered in hail. "This Sydney hail is some of the weirdest-looking hail I've seen," said one comment. "Terrifying, obviously, but so fascinating! Some look almost like flowers or little tiny planets." A previous catastrophic hailstorm in Sydney in 1999 caused damage of more than A$1.5 billion (S$1.47 billion) and was one of the costliest disasters in Australian insurance history.